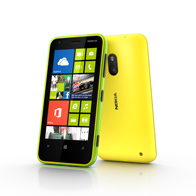 Nokia announced its new Windows Phone 8 smartphone "Lumia 620" at LeWeb in Paris. Lumia 620 will have a 3.8-inch display, 1GHz dual-core Qualcomm Snapdragon S4 processor, 512MB of RAM and a 5-megapixel camera. It provides the feature Cinemagraph which adds motion to still images. With Smart Shoot, one click of the camera takes a series of snaps so that we can take the best bits from each photo to create the perfect group shot. 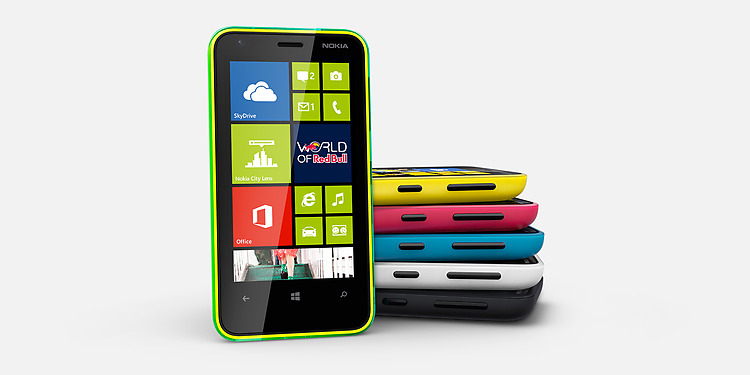 The Nokia Lumia 620 will be available in a range of colors including, lime green, orange, magenta, yellow, cyan, white and black. The Nokia Lumia 620 will begin selling in January 2013 in Asia, followed closely by Europe and the Middle East before expanding further. Read below the press release from Nokia about the Lumia 620. Espoo, Finland and Paris, France - Nokia today introduced the Nokia Lumia 620, the third and most affordable in its range of Windows Phone 8 smartphones. Alongside the flagship Nokia Lumia 920 and mid-range Nokia Lumia 820, the Nokia Lumia 620 offers a more fun, youthful appeal, and compact design. The Nokia Lumia 620 will be available in a range of colors* including, lime green, orange, magenta, yellow, cyan, white and black. Estimated at USD 249, excluding taxes and subsidies, the Nokia Lumia 620 will begin selling in January 2013 in Asia, followed closely by Europe and the Middle East before expanding further. * Availability of colored shells may vary by country.